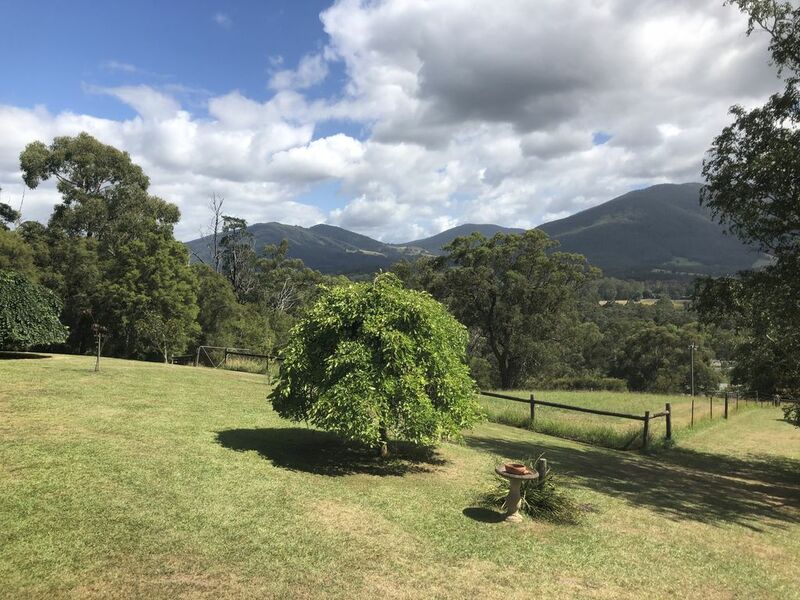 Stunning Country home situated on 7 acres in Yarra Junction. From the moment you arrive, you will feel life's stress slip away as you take in the magnificent views and breathe in the crisp fresh air. 4 Bedrooms and 2 bathrooms makes it perfect for two families to stay in comfort. There are two seperate living areas. Large Fully Functional Kitchen which also includes a Microwave and fridge. Koonara Wood fired heater int he family room as well as a huge Open fire place in the lounge room. Split Systems throughout the house for both heating and cooling. Full sized Tennis court with the mountains as a glorious backdrop. BBQ Area outside with gas bottle and 8 seater outdoor table.